First look at the upcoming Old West true story. 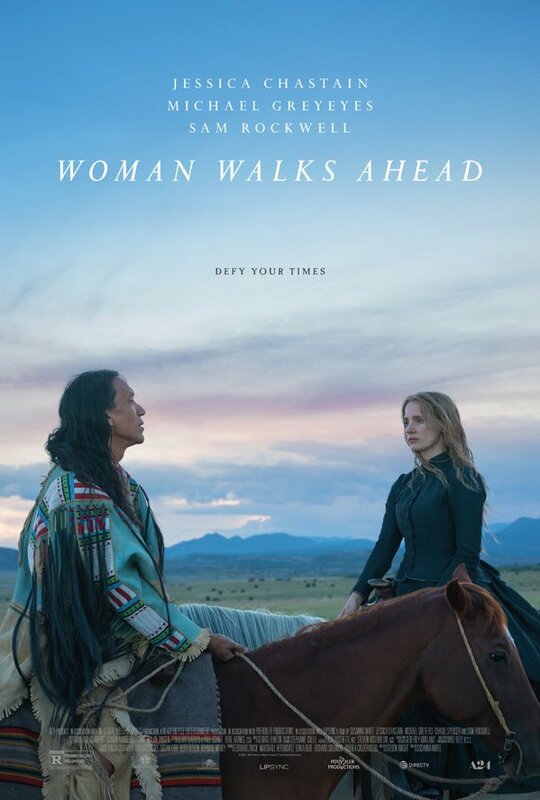 Directed by Our Kind of Traitor's Susanna White and written by Locke's Steven Knight, Woman Walks Ahead chronicles the alliance and friendship formed between portrait painter Caroline Weldon (Jessica Chastain) and Lakota Sioux leader Sitting Bull (Michael Greyeyes). Sam Rockwell, Ciarán Hinds and Bill Camp also star in the historical drama. A UK/ROI release has yet to be announced, but the film's US distributor A24 have released a trailer ahead of the June 29th US release. Caroline Weldon, a portrait painter from 1890s Brooklyn, travels to Dakota to paint a portrait of Sitting Bull and becomes embroiled in the Lakota peoples' struggle over the rights to their land.